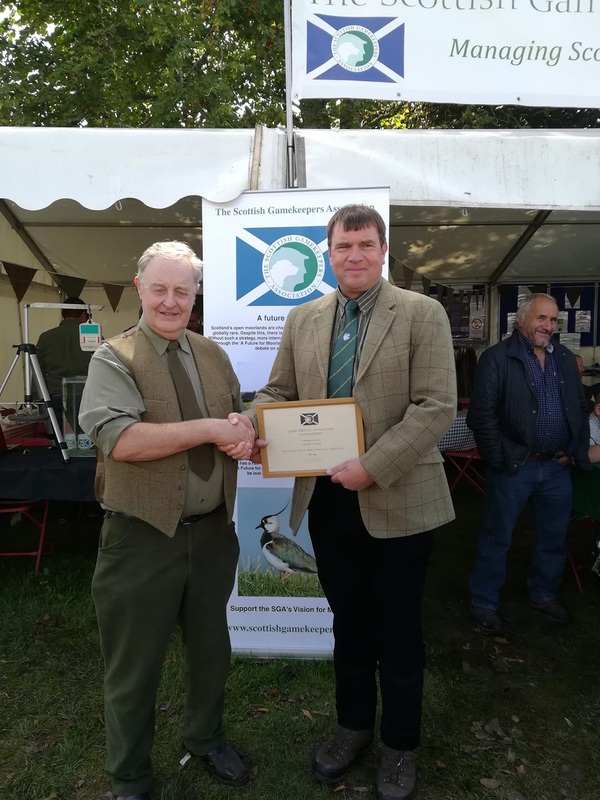 Four individuals who worked to end a controversial deer management dispute in Assynt have been presented with a major rural award. 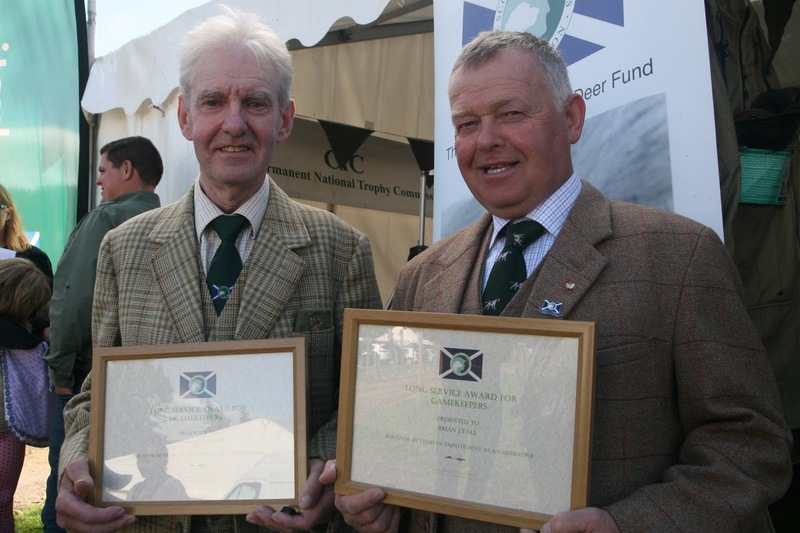 Mary Reid and David Walker-Smith, Ray Mackay of Assynt Crofters’ Trust and woodland adviser Victor Clements all played a part in breaking an impasse over deer impacts at a designated woodland site at Ardvar. The issue regarding the extent of deer browsing damage to protected woodlands became divisive and Scottish Natural Heritage had decided to impose a statutory Order on the community until fresh evidence forced a rethink. On Friday, the persistence of the individuals in presenting their case against the odds was honoured with the presentation of the Ronnie Rose award at Moy Game Fair. 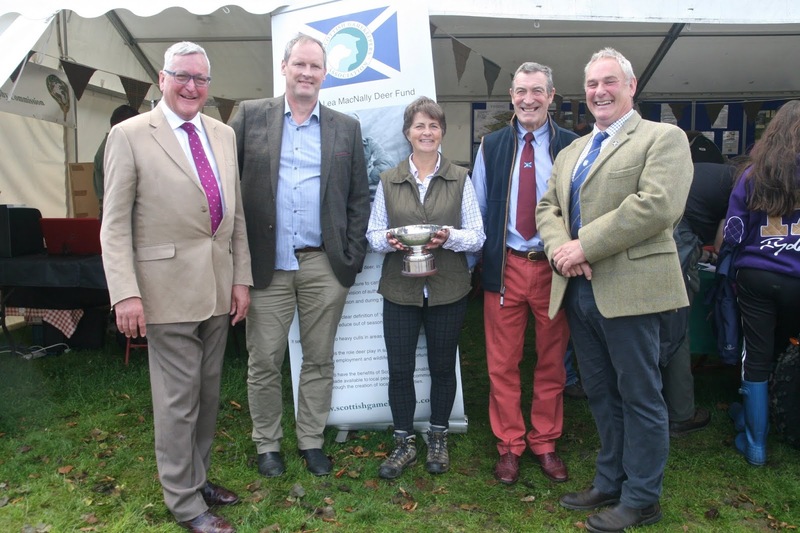 The trophy, in the name of the late author, deer manager and MBE, was inaugurated by The Scottish Gamekeepers Association (SGA) in order to recognise individuals who have devoted significant energy to rural conservation or education. 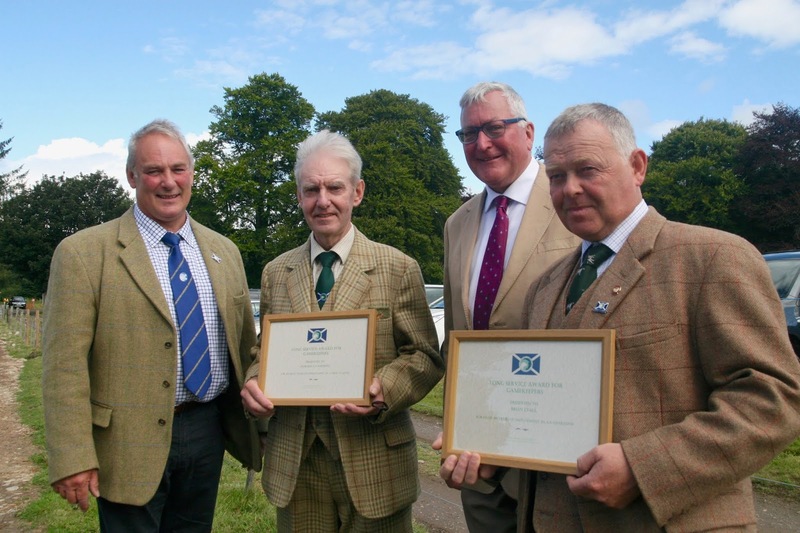 Judges deemed the work of the quartet to be an example to all fragile communities who believe local knowledge should play a part in shaping futures. Ray Mackay, Vice Chair of Assynt Crofters’ Trust, who could not make the presentation in person, was at the helm of the local deer management group when SNH decided to back away from using statutory powers. 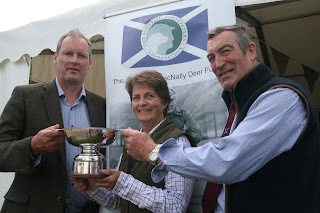 Mary Reid and David Walker-Smith led the local deer group at the beginning of the dispute. They were delighted to receive the award at Moy. “I feel very honoured that the work I and other colleagues have done for deer in Assynt led to ournames being put forward,” said Mary. Three individuals also received long service medals from the SGA for 40 years of unbroken service to their profession. Badanloch Stalker Brian Lyall, Kinloch-Hourn stalker Donald Cameron and Glenfeshie gamekeeper David Taylor all received medals over the weekend, presented by Rural Economy Secretary Fergus Ewing MSP, SGA Chairman Alex Hogg and Committee Member, Iain Hepburn.